As we were in the midst of celebrating Chinese New Year, my friends wanted to arrange a meet-up. One of my friends is a staunch advocate of ANTE and this lunar new year is the year of the pig, that’s why we decided to excite our palate with the swine dishes here without any hesitation! 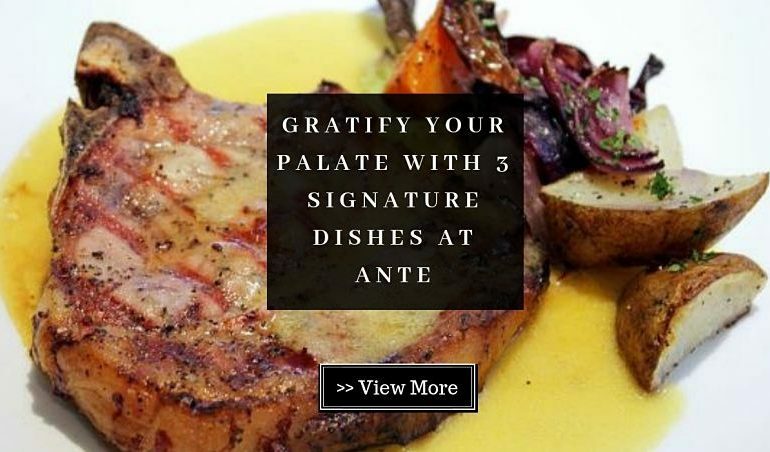 For those who are in love with porcine dishes, ANTE could be one of the porkylicious dining spots that you have frequented. Established since 2012, this award-winning restaurant is renowned for its all-day-dining menu with artisanal ingredients and techniques showcasing gourmet delicacies. And as usual, I take this chance to find out the 3 much-loved dishes by the customers here! 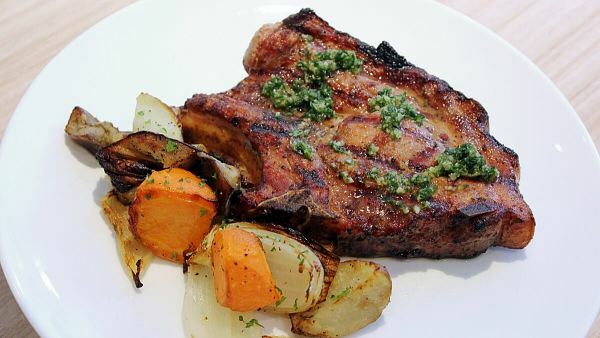 We started to ease our hunger by chowing down on the resplendent Chermoula Spiced Pork Shoulder! 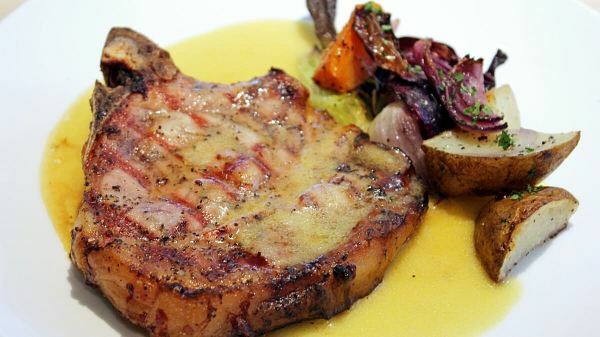 Prepare to be overwhelmed with this huge pork chop (450gm!) and its irresistible aroma. This highly-marbled cut of dark meat was hand-rubbed with fragrant Moroccan and Tunisian spices before being grilled to perfection which easily tempted our taste buds. The lean pork shoulder had an incredible tender texture and tastiness that you would not want to miss out! Here comes my favorite dish of the day – Chargrilled Pork Ribeye. I was totally blown away by the perfect combination of the buttery charred fat on the meat with its lean meat. To accentuate more flavors into the ribeye, the dish is smothered in ANTE’s delectable truffled butter sauce! Juicy, tender and well-marinated, this good-quality marbled ribeye would be all you could ask for! The final dish that I would like to share with you is this sumptuous Curry Char Siu Pasta – a dish which would guarantee a unique experience! 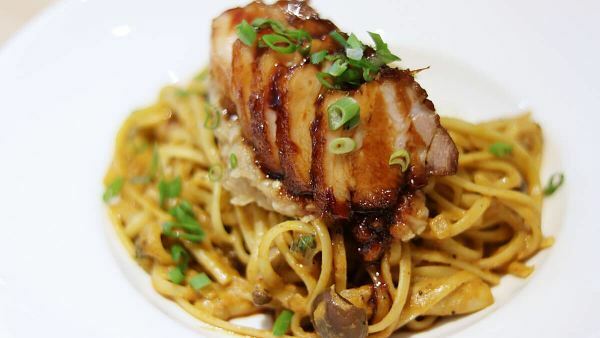 Cooked in house-blended coconut curry paste and eggplant ragu, the cuts of char siu were filled with flavors while the house-made linguine was smooth and rich. A delight in the mouth! TABLEAPP ELITE members can redeem these 3 dishes for free! Find out more here! Location: A2-G1-09, Publika, Solaris Dutamas, No.1, Jalan Dutamas, 50480 Kuala Lumpur.